To download our pictures, click here. Trinity is a thriving United Methodist faith community in the heart of Gloucester County. For every stage of the journey, our mission at Trinity is to encounter, engage, and empower people to become disciples of Jesus Christ. There is always something happening at Trinity. While activity doesn't always signify life, Trinity is growing and life giving! Whether you like traditional or contemporary music, we have a service that you will find meaningful. Our Christian education programs are ever expanding and full of children and youth. We are in the process of adding onto our fifteen year old building. If you are looking for a church home, we invite you to join our family of faith as we seek to serve God, share the love of Christ, and experience Christian community. Trinity is member of the Greater New Jersey Annual Conference of the United Methodist Church. Trinity offers 3 worship experiences each Sunday morning. Our first service is mainly traditional with hymns, choir, and special music. On the 2nd and 4th Sundays, one of Trinity's worship teams, Synergy, leads worship. Our second service is contemporary and highlights Trinity’s Praise Band. This upbeat service is a favorite among young families and youth. Our third service is traditional and includes hymn singing, adult and kids choirs, and special music. Holy Communion is served the first Sunday of each month at all three worship services. 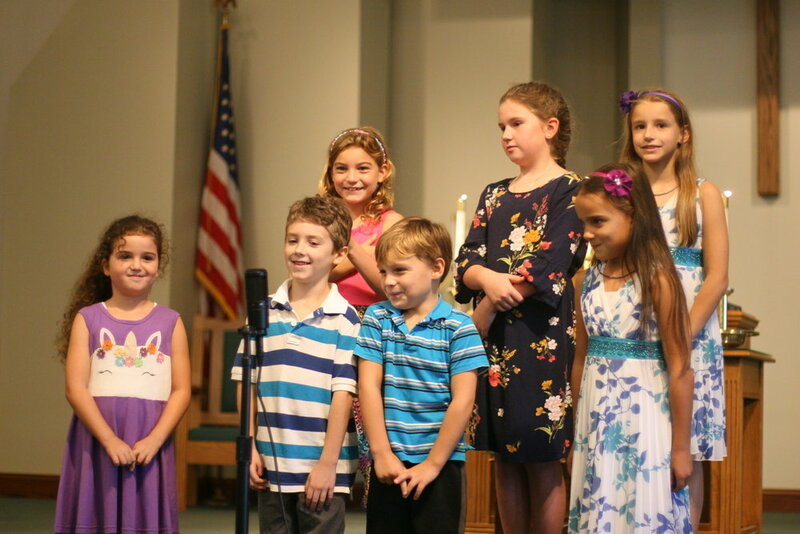 CrossWalk, our kids Sunday School program, meets during the 9:45am worship service. Classes are available for infants-12th grade. there is a room attached to our sanctuary where children can play and parents can see and hear the service. Our Youth Ministries encourages teenagers to LAUNCH a personal faith journey with Jesus; to CLIMB to new heights, always discovering more about Him; and to REACH a point in that journey where they want to express their faith to others through service. We offer Christian educational programming for kids ages pre-K-12th grade during our 9:45am service on Sundays throughout the school year. We Also offer a program on Sunday nights during our Engage program for kids ages pre-K-6th grade. We believe at Trinity that the Christian faith is not something you can practice alone. That is why one of our goals at Trinity is to see that every member of our congregation becomes a disciple of Jesus by getting plugged in to one of our Grow Groups. 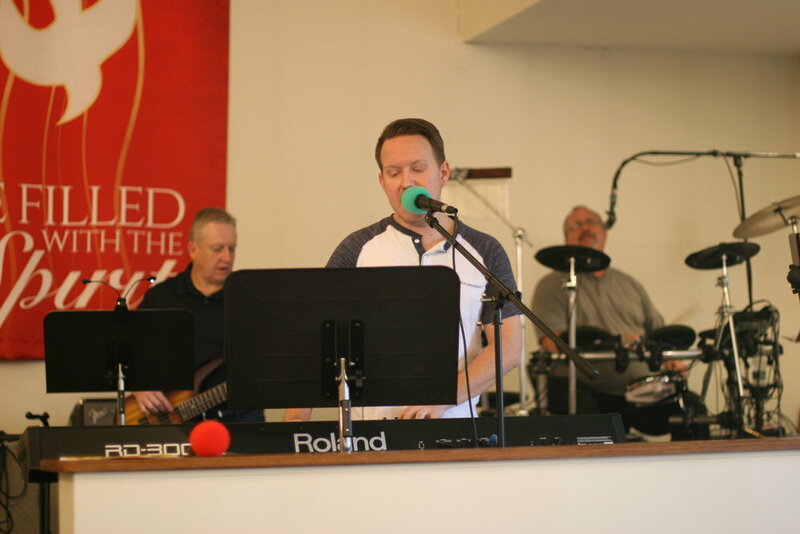 The music ministry has deep roots in Trinity’s history. The people at Trinity really love to sing and play music of all kinds. We have several musical groups to fit all ages and style preferences. We are called to be a light to the world through Christian service. Here at Trinity, we involve ourselves in many local, regional, and international mission ventures. We believe God has empowered us to support each other. The Trinity family includes a network of support groups and services for people in all stages and life situations. April 17, 2019 Lent Daily Devotional: Where Am I? April 12, 2019: What's Your Future Hold? April 11, 2019 Lent Daily Devotional: All In For Jesus? April 9, 2019 Lent Daily Devotional: Finding God, or Being Found By Him?